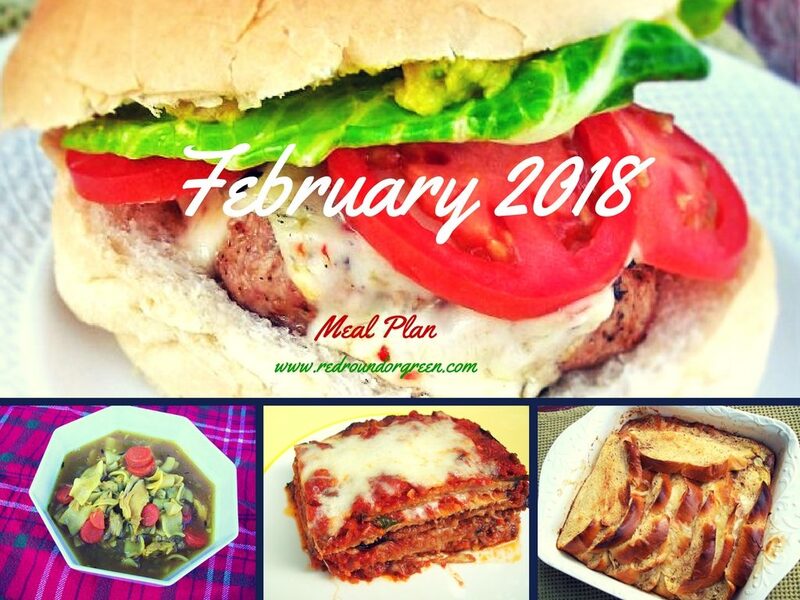 I know it’s cheesy to say that this month’s meal plan is all about love — how VALENTINE’S DAY, how LAME. But I don’t really mean it as an homage to the non-holiday that is February 14th. The thing is, the past couple of months have been a blur of survival instincts, to me. I think people have the impression that I’m handling my mom’s sudden passing really well, and maybe I am. But I think I haven’t really thawed yet, and I’ve been holding everything together, but not really feeling the desire to do any of it. Part of the reason I am good at cooking and meal planning is that I enjoy doing these things. There’s a certain amount of personal satisfaction and enjoyment, even joy, that I get from taking care of my home and family — despite the fact that I’m a thoroughly modern, liberated, working feminist. (I’ve never seen those two roles as being mutually exclusive anyway, but that’s a subject for a different time.) But the enjoyment, the joy, has been missing for a while now. It’s no small wonder, but I’ve noticed, and I’ve missed feeling good about going about the simple routines of life. I’ve honestly just missed feeling good. I’m a long way from being “over it” (as if that’s a thing) or being thawed out or even routinely feeling good. But I do feel a shift happening, and I feel myself slowly coming out of just working through life on autopilot. I feel like the little things are starting to become satisfying again, at least some of the time. And that means a lot right now. So this month, this meal plan, is about love. It’s about loving my family and loving myself enough to keep going and keep hoping that it all gets better, day by day. It’s about remembering that even something as silly and small as having a menu planned can be the reason to get up and stay up when the last thing you want to do is do anything at all. It’s about remembering that sometimes you have to have something that keeps your feet on a path. One day I’ll look back on this time in our lives and reflect. And I hope that what will come back to me is that our family life didn’t falter and our comforts didn’t fail. Friday, 2/2: I’m off to NY for a day of business meetings. Leaving the guys with a freezer meal of meatball subs. Sunday, 2/4: Super Bowl Sunday! We’re doing football food — sliders, wings, and so forth. Sunday, 2/18: L. and I are taking off for a mother-son day in New York City, leaving J. and P. to their own devices!